Not many years ago, your average well-informed cigar smoker probably had never heard of Aganorsa tobacco. Today, there’s a good chance they have and, if they haven’t, they’ve almost certainly smoked Aganorsa tobacco, which is widely used by many of the largest cigar makers. 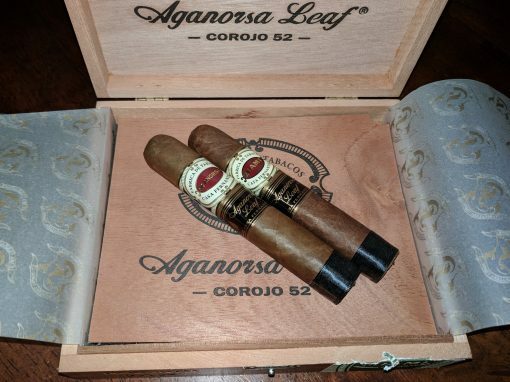 Aganorsa S.A. started in 1997 when Cuban-born American businessman Eduardo Fernandez began purchasing land in Nicaragua to grow tobacco, including fields once owned by Ncaraguan dictator Anastasio Somoza. Prior to the Sandinista revolution, Somoza was part owner of the Joya de Nicaragua factory (dictators don’t pick their lands because they aren’t some of the finest available). Fernandez, who quickly began expanding his growing operations, staffed his fields with Cuban agronomists. Fernandez soon began expanding to cigar making with the purchase of Tropical Tobacco and later by establishing, with José “Pepín” García, El Rey de los Habanos in Miami and another facility in Nicaragua. (The two split ways acrimoniously in 2010 with a lawsuit that ended in a settlement.) Today, Fernandez runs the Tabacos Valle de Jalapa S.A. (TABSA) (Nicaragua), and Casa Fernandez Miami (USA) factories where he makes cigars for his Casa Fernanedez brands and others, including Illusione and Warped (which is co-owned by Fernandez’s son, Max). While Aganorsa tobacco is still supplied to numerous cigar makers in Nicaragua and elsewhere, the brand remains closely associated with Casa Fernandez, which uses the tobaccos almost exclusively. Earlier this year, Casa Fernandez was officially moved under the Aganorsa Leaf banner. The Casa Fernandez Miami Aganorsa Leaf Corojo is a Nicaraguan puro made in Miami with an Aganorsa Corojo wrapper around Aganorsa binder and filler. The cigar comes in three sizes: Robusto (5 x 52), Toro (6.5 x 52), and Torpedo (6.25 x 52). The Robusto features a slightly mottled Colorado brown wrapper. The slightly rounded, box-pressed cigar features two bands (one denoting Casa Fernandez Miami and another advertising Aganorsa Leaf), plus a black ribbon around the foot. The primary band was changed along the way to make “Miami” more prominent. Once lit, the cigar features cafe-au-lait, bread, cashew, and light oak. It has only the slightest wood spice (though pepper is prominent when retro-haled), but it is a medium- to full-bodied smoke with excellent balance. The flavors coat the palate creating a long, velvety finish. The flavors are consistent throughout, with a slight increase in strength towards the final third. Construction was excellent on all three Robustos I smoked, with an easy draw, even burn, and sturdy ash. I’ve largely been impressed by Casa Fernandez cigars, but I’ll admit to being a bit confused by the line. At times, it’s challenging to discern the differences between their various offerings. For example, what appears to be the exact same Casa Fernandez Corojo has also been made in Nicaragua, but that cigar is still sold on some websites side-by-side with the Miami. Perhaps the new Aganorsa Leaf branding will soon clear up these differences. The Casa Fernandez Miami Corojo Robusto retails for $110 for box of 15, but the truth is you can find it for quite a bit less. For the $60 I paid for the box (perhaps that confusion I spoke of creates a buying opportunity), it is a real bargain. This Miami-made Nicaraguan puro is the type of cigar most appreciated by veteran fans of Nicaraguan smokes. With enjoyable flavors and excellent balance, the Casa Fernandez Miami Corojo Robusto earns a rating of four stogies out of five. What was the reason for the split between Fernandez and Pepin Garcia? Fernandez was a 50% owner of two factories: El Rey de Los Habanos in Miami, and Tabacalera Cubana in Nicaragua. Fernandez claimed the Garcias funneled business to the My Father Cigars factory, and away from El Rey de Los Habanos and Tabacalera Cubana. The parties settled out of court. As part of the settlement, Fernandez sold his stake in the factories to the Garcias, who became the sole owners.